Mid County Lanes isn’t just about bowling. 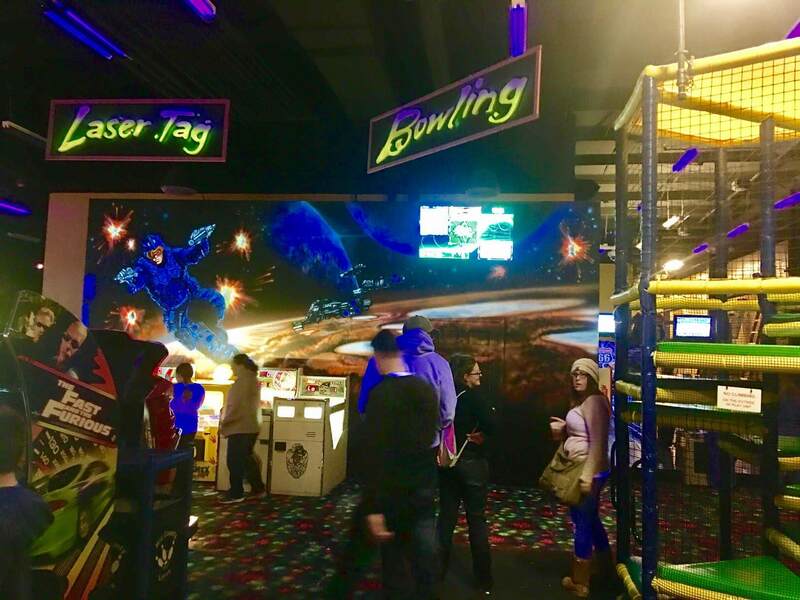 We also have an entire family fun center, Family Fun Galaxy, which includes all kinds of fun attractions: from bumper cars, to an arcade, to our awesome Laser Runner laser tag game! Laser tag isn’t just a great way to spend time, it’s also a unique, immersive experience. What other games do you play where you are the game? In a game of laser tag, you’ll not only compete against the other team, you’ll also work together with your team. Never played laser tag before? Don’t panic! We’ll show you everything you need to know, and you’ll get the hang of it in no time. It’s painless (unlike paintball, there are no actual projectiles, and the lasers we use are safe), fun for all ages, and a great way to get some exercise. As the summer winds down and kids go back to school, it’s easy to spend all day sitting down, whether at desks, in cars, or on couches. Get your kids, and yourself, up and moving in our laser arena! The trick to sticking with an exercise plan is to find something you enjoy so much you forget you’re getting a workout. With laser tag at Mid County Lanes Family Fun Galaxy, you’ll dodge, climb, run, jump, and duck around obstacles, raising your heart rate and working different muscle groups while having a ton of fun. Check out our hours and come down to Family Fun Galaxy for an exciting day of laser tag with friends and family!